These shoes are the perfect go-to answer for the multitude of activities that drive your days. Breathable air mesh in a casual, sport style with a round-capped toe. Breathable air mesh lining and fabric insole. MD/RB outsole. Fabric Lace up makes your foot steady and maximum Comfort. The features are more than breathable,lightweight,slip-resistant and shock-absorbing. Comfortable on-road, the grippy outsole truly shines when you leave the paved path. Weight: Lightweight, only 156g, it's as light as an iPhone and gives you the comfort of bare feet. A lightweight walking shoe can release you all stress. We accord to women casual shoes flat design standard, fashion and leisure of the running shoes. Appearance: Flat with round toe shoes, mesh design running shoes made with a higher amount of mesh to keep feet cool during exercise and make shoes more breathable and keep your feet dry. Cross-lacing sneakers can adjust to make the shoes more comfortable. Material: MD Model of the shoes material, sole of the shoes is lightweight,wrinkle free and without peculiar smell, suitable for all kinds of weather, Camel running shoes walk through all the seasons with you.allowing you to enjoy the sport while also extending Running shoes' service life. Highlights: Lightweight and mesh uppers, soft insole is comfortable, Soft EVA foam insole, the honeycomb is dehumidified. 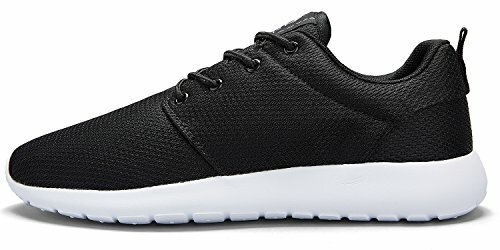 Make sports shoes perfect for a variety of occasions and a variety of climate seasons.This is a pair of comfortable, breathable sports shoes for women. Apply: Leisure design and have conditions of sport shoes. The shoes not only is a business running shoes, but also is a women casual shoes, suitable for walking, running, gym.